AGB — Environment – SUSTAINABLE FOOD FOR EVERYONE? Worldwide population is expected to grow to nearly 10 billion by 2050 - but agricultural lands won't be able to follow the same pace. The problem is clear: something has to change. The question is what. The world's population continues to grow - but the Earth's surface doesn't. And already one in nine people around the world suffers from hunger. Although fertility levels worldwide are declining, life expectancy is increasing - and therefore, the global population keeps growing. The United Nations estimates that the world's population is increasing by more than 80 million people every year. Forecasts offer a nonstop rise: The global population is expected to reach 8.6 billion in 2030, 9.8 billion in 2050 and 11.2 billion by 2100. So how can we feed all these billions without destroying the Earth? Although it's a dire picture, the situation is not as disastrous as it might seem. Food is not lacking - it is just poorly managed. "Today, we would be able to feed many more people than we do," Ralf Südhoff, head of the World Food Program of the United Nations in Berlin told DW. "But we waste too much of the food we produce, and we lack efficient production - particularly in Africa," Südhoff said. On World Population Day (11.07.2017), DW explores how to adapt our societies to feed all 10 billion people expected by 2050 - while preserving our environment. Population growth is not the key cause of hunger, Südhoff said - it is rather a lack of efficiency in managing our resources. Average productivity in African countries is around 20 percent of its capacity, said Reiner Klingholz, chairman of the think tank Berlin Institute for Population and Development. Farmers in rural areas of some African and Asian countries still lack the necessary means to maximize crop yields, misusing vast areas of land, he told DW. But experts agree that productivity could be increased through very simple means. "Efficiency could be doubled or tripled in African countries by providing basic means such as training, credits and land rights," Südhoff said. According to Valentin Thurn, director of the German documentary 10 Milliarden - Wie werden wir alle satt? (10 billion - How do we all get fed? 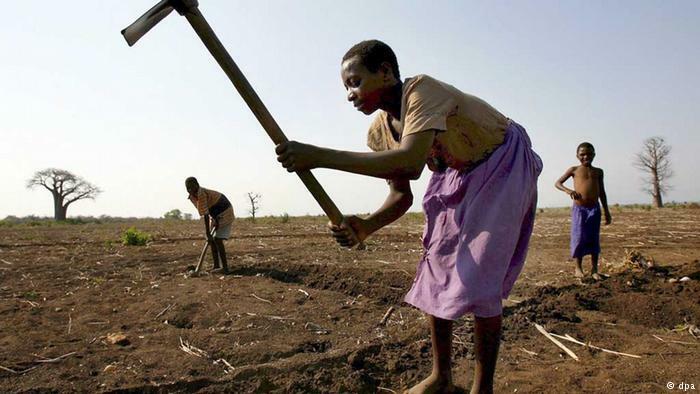 ), farmers in rural areas are the most affected by hunger - and the ones most commonly left behind. He believes smallholders should get integrated into the modernization processes - until now, only limited to big industrialized farms.